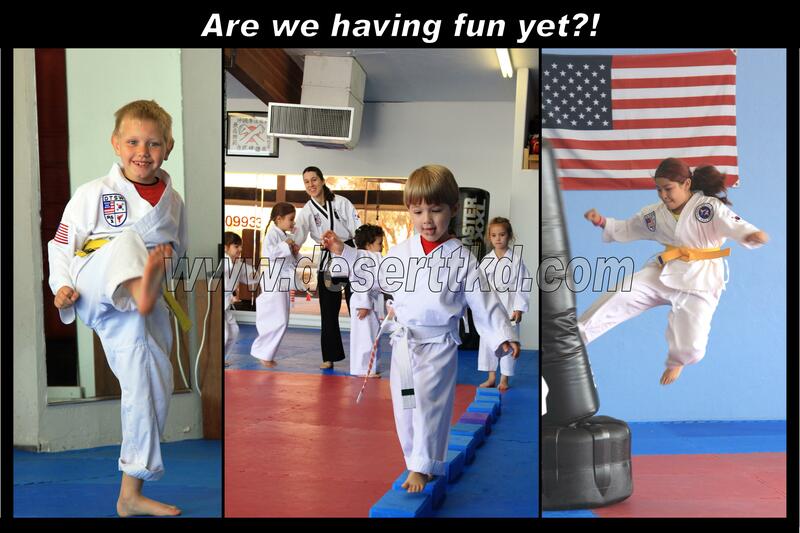 Our Little Kickers program is a martial arts class designed specifically for younger children. 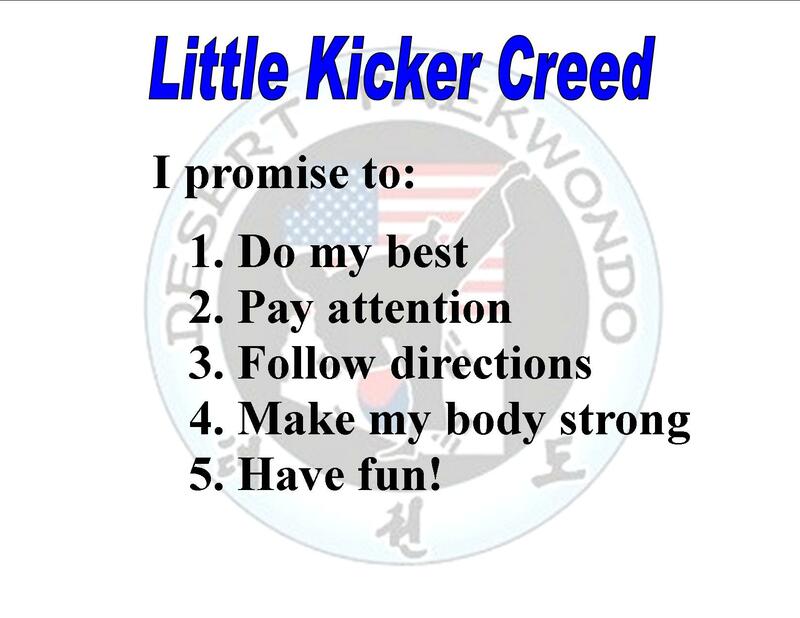 The focus of our Little Kickers program is to have fun while developing coordination, balance, the ability to pay attention, and learning basic martial arts skills. Students 3-5 years old are introduced to the concepts of teamwork, respect, patience, and sportsmanship. They also learn self-defense techniques appropriate for their age group. Games are often incorporated into the training to help foster sportsmanship, teamwork and encourage positive physical development. Little Kickers will graduate from this program into the childrens program at differing times depending upon the individual’s age, dedication, skill and maturity. Children earn stripes as part of a reward system that emphasizes reaching small, short, specific goals. The goals of our program include: Teach child safety, reinforce positive character development, develop motor skills, develop learning skills and self-confidence. Teach Child Safety – This will include dialing 911, rules to follow when around strangers, the correct way to talk on the phone or answer the door, our basic self defense techniques, and much more. Our goal is to teach these concepts in a non-threatening environment through games, discussion and practice, with the comfort of parental involvement and trustworthy teachers. Reinforce Positive Character Development – Striving to develop a good character within ourselves is the facet that separates martial arts from other fitness programs and sporting activities. Our instructors and staff lead by example and work hard to build a positive environment for student training. Stories, games and other activities are used to reinforce positive character development and learning. Develop Motor Skills – Every activity you see during a class session has a definite purpose. While the students are having fun with games and relays, they are developing motor skills appropriate for their age. This includes coordination skills, right and left side development, flexibility, muscle strength, timing, speed drills, mobility skills, etc. Even though some activities may not directly be ‘Taekwondo”, all contribute to the techniques being developed. In addition, Taekwondo training is one of the best sports for overall development that will have benefits that will transfer to other sports. Develop Learning Skills – We teach through interaction with the students. We do not lecture, rather we make sure to get everyone involved, making learning both easier and more fun! Everything we teach is age specific to encourage learning and mental growth. Develop Self-Confidence – You might consider the development of self-confidence and self-esteem as the culmination of all of the above points. Our curriculum is based on short term goals. By rewarding the achievement of many small goals over time the students build confidence and establish higher goals, not just in Martial Arts training but in all aspects of life. Build Leadership – The Little Kickers program is designed to build a groundwork for developing our students into future leaders. With the confidence, social skills, self-esteem, and discipline your child will develop at Desert Taekwondo, they will be laying a foundation for growth and leadership development beyond what most ‘normal’ sports can provide.